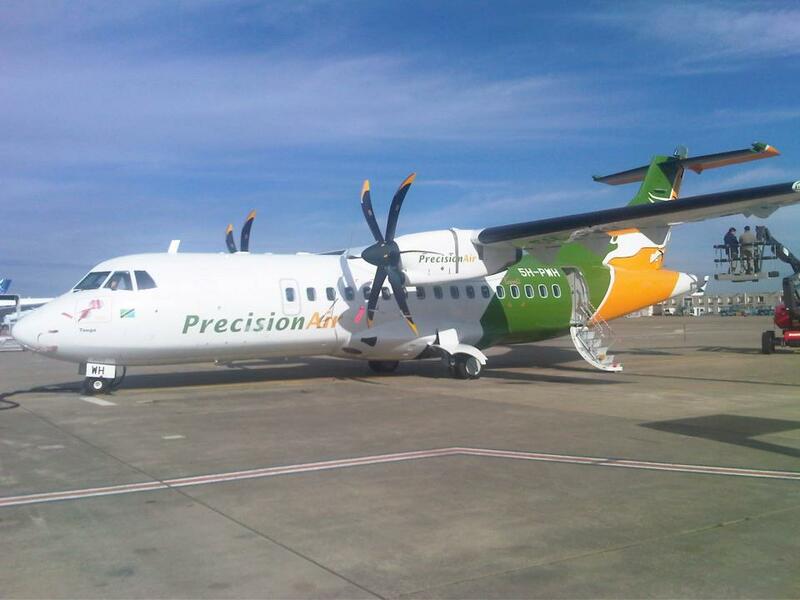 Precision Air Now Eyes Chato and Dodoma. Tanzania leading Airline Precision Air, is considering to start flights to the capital city of Tanzania Dodoma and Chato in Geita. The airline, which was established 25 years ago is currently operating to 10 domestic destinations. Speaking to the press in his office Precision Air’s Marketing and Corporate Affairs Manager, Mr. Hillary Mremi said, Precision has identified the potential market on those two routes and already has started plans to analyze the market so as to design suitable schedule. “There have been key developments in these two destinations, on one hand, the fact that the Government is moving to Dodoma definitely there is going to be a big movement of people to and from Dodoma. 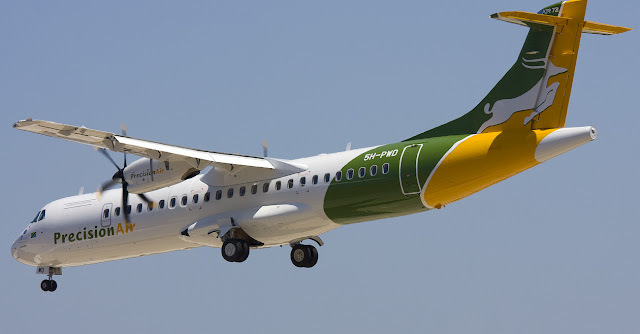 Precision Air As the best scheduled airline and the only AITA member in Tanzania, we are considering to start flights to Dodoma so as to provide connection for our passengers from our wide network.” Mr. Mremi Explained. Speaking on Precision Air consideration to start flights to Chato, Mr.Mremi said, the completion of the construction of the Chato Airport will open up doors for Precision Air to have further access into the Lake zone market. Our flights to Chato will enable us to serve Geita region, which has several potential economic activities such as mining, fishing, and tourism. 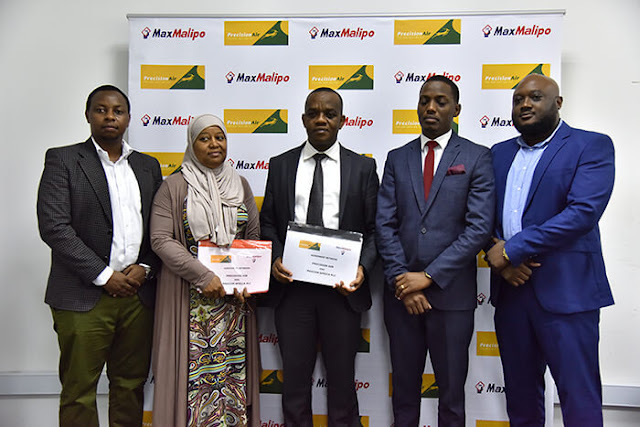 “We wish to congratulate our Government efforts to upgrade our Airports, this will enable us as operators to mount more flights to open up Tanzania and speed up economic growth Our plans are to launch Dodoma flights on our 2019 Summer schedule which will be published in March 2019, while Chato flights will depend on the completion of the construction of the Chato Airport.” Mremi added. 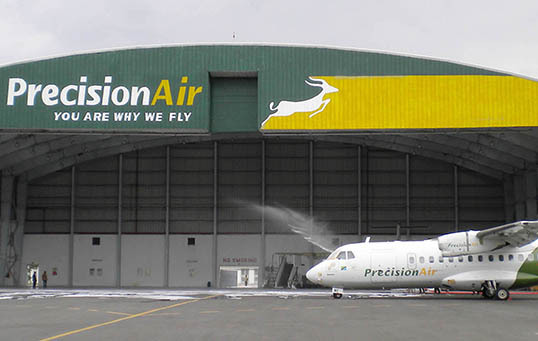 Precision Air Services was established in 1993 as a private charter air Transport Company mainly providing connections to tourists visiting the rich natural attractions of Serengeti National Park, Ngorongoro Crater, in northern Tanzania, the Zanzibar Island in the Indian Ocean and other parts of the country from Arusha town as its base. Currently headquartered in Dar Es Salaam it has grown to become a reputable airline in East Africa and Africa at large. Operating from Dar es Salaam with flights to Arusha, Bukoba, Kilimanjaro, Kahama,Mtwara, Mwanza, Tabora, Zanzibar,Seronera,Nairobi and Entebbe. 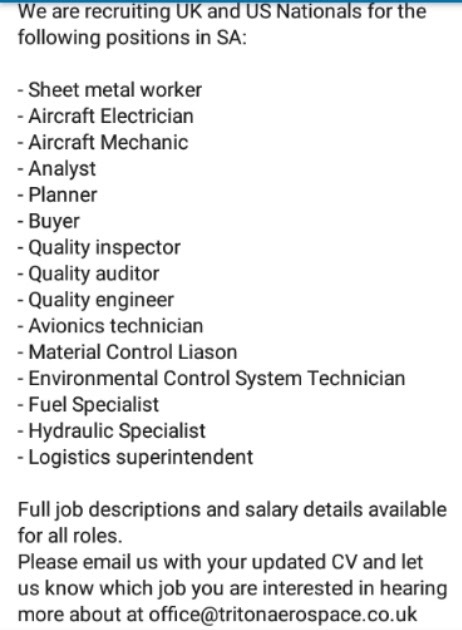 The Tanzania Civil Aviation Authority (TCAA) wishes to inform the applicants for Pilot Training Sponsorship that shortlisted candidates are required to appear for a written interview to be conducted on 15 May 2018 at Civil Aviation Training Centre located at Julius Nyerere International Airport Terminal I from 9.00 am. Shortlisted candidates are required to bring with them recognized identification cards bearing their photos. All applicants have to bear their own costs for travel and living during the interview. 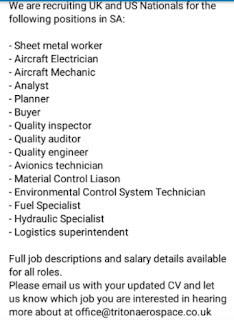 Precision Air wishes to invite applications from suitably qualified candidates to fill in this challenging position.  Carry out scheduled maintenance checks and service bulletins and certify within the dual scope approval for safe and timely release of aircraft within planned downtime for continued airworthiness.  Carry out inspection, repair, replacement, overhaul, modification and testing of aircraft components and aircraft tools and certify within the two component ATA cluster approval for optimal turnaround time to ensure continuous availability of serviceable component.  Reporting to the company, without delay, any defects in procedures or equipment that they are aware of that might compromise safety.  Taking all reasonable and practical measures, this may include the submission of safety reports, to prevent injury or fatality to themselves or other persons and damage to or loss of aircraft.  Creating, receiving and keeping relevant records in accordance with correct filing rules.  Disposing of records in accordance with authorized disposition instruments and established procedures.